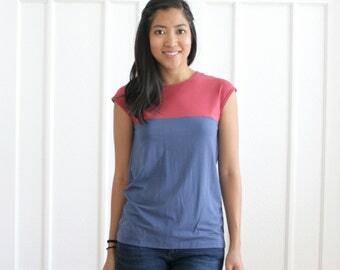 This bamboo, organic cotton, modal, spandex top is a chic way to stay casual. It features a simple silhouette and a basketweave top. It's casual, unique and eco friendly.